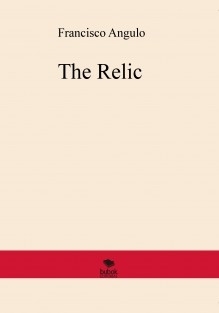 The Relic -A perfect marriage between science and fantasy STORY LINE Hazel Eyes will introduce us to this novel. Her story is recounted by a rather special narrator: The Relic, which initially appears as a statue worshiped by the tribe to which Hazel Eyes belongs. New characters soon emerge as Leónthe trucker, little Elías, cell mates Bean Bran and Flat Plano and the very complex María. Their personal stories initially make us believe they are very different people with nothing in common but as the novel develops the bonds between them slowly unravel. The Relicwill travel and change location constantly, describing the different civilisations that worship it. This can be a little confusing for the reader but everything does make sense at the end of the story. The small statue came to our planet with an important mission. Time is running out and The Relic is about to complete its task but in order to accomplish it, it will have to transmit all its knowledge to the only person that can complete the mission. There are chapters about scientific matters scattered throughout the novel, dealing with issues such as black holes, the relative speed of light and the creation of the universe, all of them explained in a way that everyone can understand. There are also random chapters on different topics such as the tsunami in Arica in 1868, or a number of different inventions like a life jacket that heats up as it comes in contact with water.